Luxury vinyl plank flooring or LVP is an inexpensive way to breathe new life into a room. It’s gorgeous, is extremely durable, is affordable, and it comes in an endless array of colors and patterns. Let’s take a close look at the pros and cons of vinyl flooring, the best brands, where you can buy it, and go over a few tips to help your installation go smoothly. What Are The Pros Of LVP? 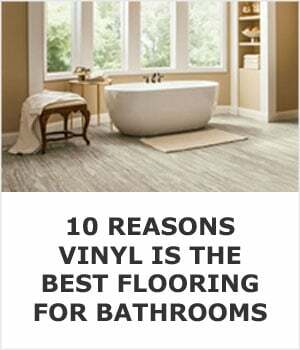 Not all of these benefits of a floating vinyl plank floor are ovious so I’m sure you’re about to discover soomething new. The price is one of the first things that make vinyl flooring such an attractive idea. At $8 per square foot for LVP’s $16 for wood, LVP costs considerably less. It is not an exaggeration to say that if you were to use vinyl flooring instead of real wood you could save a couple thousand dollars. Here’s a short and sweet quote from the flooring professionals at Parterre that sums it up nicely. Hardwood costs 2-3 times more than LVP, making LVP the more affordable option by far. It’s pretty crazy how much choice there is out there in the world of vinyl flooring. If you’re after a particular look I can just about guarantee that you’ll be able to find it. One of the best things is that as there is so much choice, you will find it much easier to find vinyl flooring that fits in with the rest of the room than if you are only looking at wood, tile, or stone. Made by Mannington and called Essex oak, this luxury vinyl plank looks exactly like oak flooring. This color resembling reclaimed timber is called vintage multi; it's part of Armstrong's Pryzm collection. This wide plank vinyl is deep and rich like mahogany. It's made by Shaw and is part of the Premio collection. This marble tile look is achieved using Mannington's Century line. 18"x18" vinyl flooring from the Armstrong LUXE line that mimic ceramic tile. These rectangular vinyl tiles from Shaw look very much like porcelain. They're part of the Odyssey line and this color is called Zurich. If Carrara marble is the look you want you can install Mannington 12"x24" Adura tiles with or without grout. If travertine is the look you want than look no further than Armstongs' Vivero line. In it you'll find an option called Messenia that looks just like travertine. These 18" square vinyl tiles from Shaw look great with a light grey grout line. It looks a lot like slate or a honed granite and is in the Infusion line. You have to know what you are doing when it comes to laying a wooden or a tile floor. There is very, very little room for error and in general, it is not something a novice should be doing. Vinyl flooring, on the other hand, is much easier. The majority of vinyl planks that you find fit together very easily and will lock in place. You can then simply trim them with a knife so that they fit the shape of your room. As long as you take your time, installing vinyl flooring is very simple, and once you get the hang of it very quick. With wood you cannot lay it in a place it is going to get wet. With tile, you do not want to lay it where it can get damaged. LVP, on the other hand, is very versatile and durable. This means it can work great in the kitchen or the bathroom. Spills will not damage it and they are very easy to clean. If you have pets and kids causing a ruckus in the house, vinyl does not scratch easily, chip or suffer any kind of major damage that is going to make it look bad. 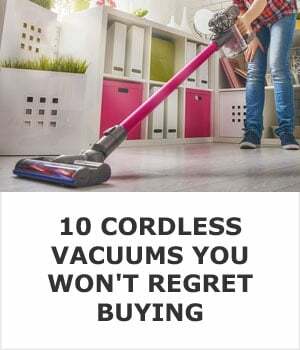 Other than vacuuming or sweeping and washing them with soap and water to keep them clean there’s absolutely no maintenance required. You’ll never have to wax, seal, or refinish them like you do with so many other available floor coverings. One of the things that vinyl floors do not get the credit it deserves for is how it is able to stay at room temperature. So if you have your central heating on in the winter, you do not have to worry about your floor sending chills through your body when you get out of bed! There will always be a substantial temperature difference between vinyl and tile. Also, LVP has a bit of padding to it (of course what you have under it makes the difference) so it’s not as hard on the feet and joints as real wood or tile. What Are The Cons Of LVP? Here are a couple of the ‘issues’ when it comes to floating vinyl planks. To be fair this tends to be with lower priced (less regulated) flooring. Vinyl flooring can release gasses into the house which are known as VOC’s. 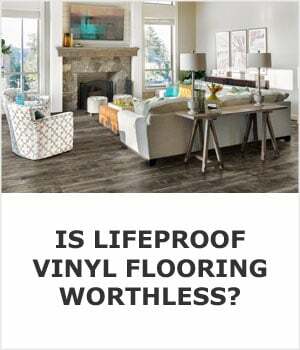 These can lead to respiratory issues, especially for people with allergies, so if that is a concern of yours look for a vinyl flooring that says it’s a low VOC option. Think of VOC’s as new car smell. Everyone loves car smell, right? But VOC’s are what are responsible for that smell and we all know that after a few days that smell disappears. 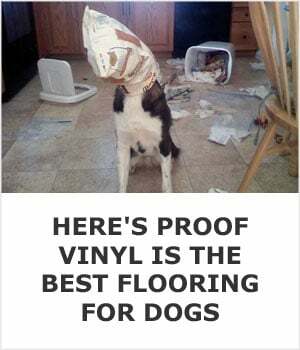 The same is true for vinyl floors. After about 10 days the vinyl will no longer be a source of indoor air pollution because most of the VOC’s that were going to escape have been emitted. Because it’s a floating flooring option and the planks are not glued to the subfloor the planks can shift a little if a wheelchair is being used. So it’s worth mentioning it to your salesperson or possibly purchasing vinyl tiles that get cemented to the floor if you are or a family member is a wheelchair user. As nice as LVP can look, no realtor will ever make a point to say “look at this lovely vinyl floor” when they are showing someone around the house. The point is that vinyl flooring is not going to add any kind of value to your home but it’s not going to take any away either. Curtains or blinds will prevent sun damage like this as long as they aren't left open every day, all day. While conditions do have to be just right for sun fading to happen it is a possibility. If you you a window that get lot’s of strong sun throughout the majority of the day this will eventually lead to fading which can stick out like a sore thumb. There are two major differences between laminate flooring and vinyl planks. The price is the most important one to consider. Laminate floors start at about $1 per square foot but you really get what you play for here. A quality laminate starts at closer to the $2 to $3 dollar range per square foot. A cheap luxury vinyl starts at around $2 per square foot and can go as high as $7, but there are plenty of quality vinyl tiles available in the $3 to $4 range. The other major difference is how they they resist water damage. Laminates are made from a type of recycled wood that is commonly referred to as high density fiberboard (HDF). Because it’s made from wood it’s suseptible to damage if it comes in contact with water, and if it’s installed in a damp environment like a basement it will absorb humidity from the air which over time can give mold and mildew a place to start to grow. Vinyl is nearly waterproof and it’s much more resistant to water damage. It’s so highly resistant to water and humidity that’s it’s a perfect choice for any area that where constant contact with water or high humidity is concerned. Overall it’s a durbale and stable choice for any room in your home. There are many companies out there that produce vinyl flooring products, but let’s look at some of the most well known and highly touted brands. Shaw is one of the most well known and respected flooring brands in the country. They are a huge company and as a result, have a large selection, can deliver nationwide and generaly sell quality products. What we are talking about here is the Adura line from Mannington. Adura is their vinyl brand and they have many different types and styles of LVP’s for you to choose from. 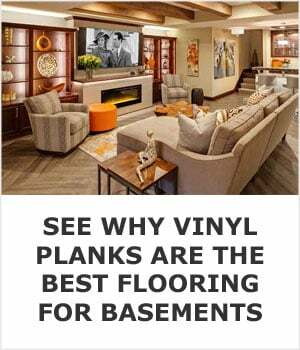 These guys know what they are doing when it comes to vinyl plank flooring so they are well worth taking a closer look at. No matter if you want that stone, tile, or wood look, Armstrong Flooring has you covered. Armstrong are known for their “Diamond 10® Technology” which they say gives you longer lasting vinyl flooring. They have some truly lovely looking vinyl flooring for sale so be sure to have a good look at their selection. The LVP often referred to as TrafficMaster, but most commonly called Allure, is available only at Home Depot. I have a problem with any private label products sold by Home Depot. Have you ever heard of Home Depot being referred to as “Home Cheapo”? It’s not because they have cheap prices. It’s because the quality of many of the products that they sell is lower than if you were to buy them at a professional building supply house. Home Depot hired a company called Metroflor to create TrafficMaster Allure for them. I’m sure that Metroflor makes some excellent products, but if Home Depot’s track record of hiring companies to manufacture low quality products so that they can sell low quality products at rock bottom prices, then there’s a good chance that this is what happening with Allure too. I think that the price of $1.69/s.f. is a good indicator of the quality. I’m not saying don’t buy Allure but I am telling that buyer beware if you choose to purchase their floating vinyl planks. While you can hire a professional to install your flooring for you, one of biggest benefits of floating planks is that they are very easy to install. Here I have a few general tips that will save you some frustration and help you make sure your installation comes out flawless. Watch this video first though, it will help you understand some of the points I make below. Before you even open your first box of plank flooring you need to make sure the area is prepared. 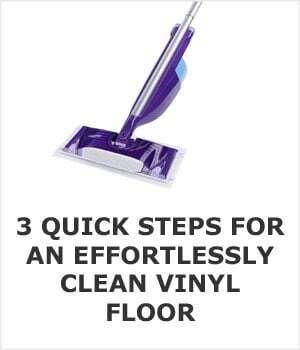 Start by sweeping the floor because even the smallest little stone can cause major problems. Removing the baseboards is necessary and also check to see if you need any kind of underlay to help with moisture. Lay your first vinyl plank in a corner. Make sure that it is flush to the wall as possible and that it is straight. Next up you want to place your second plank and lock it in place. Your vinyl plank boards will have instructions telling you how to do this. Read them, then read them again and then connect that second plank. Keep putting down new planks (securing them as you do) and give them a little tap with a soft mallet if you need to in order to make sure they are properly secured. At some point, unless you are really lucky, you are going to come to the wall and find that a plank is too long. Now you need to measure how long you need the plank to be. Use a ruler and a utility knife to measure and score the plank. After you score it with the knife you’ll be able to snap it apart at the scored edge. Don’t be afraid to practice a couple times with a scrap piece, but after just a couple attempts you’ll realize how easy this is to do and you’ll be scoring and snapping like a pro. Take your time with this and remember the rule, measure twice and cut once! Door frames and any strangely shaped rooms may also require that you get a little creative with your cutting. Again just make sure that you measure properly and take your time. Once you have finished that first row you can now start the second row. If you have cut the last plank from the first row and the remaiing piece is at least 8 inches long you can use that to start the next row. Click it into place with the plank on that first row. Use a soft mallet to tap it into place if you need to. Work until you have finished the second row and you will see the “pattern” of your flooring starting to take place. Once you have done the first and second row of your floor. The rest should fall into place very easy. The very last row of your vinyl plank flooring is most likely going to be what causes you problems. This is because as well as cutting the first and last plank along the top, you are most likely going to have to cut the planks along their whole width. Take the first plank that you are starting this final row with and measure how much you need to cut. You now need to place this in very carefully and then follow suit until you are finished. This can be the part where some people slip up. Some rooms are not a proper rectangle or square and as a result, the planks used along this last row can need to be cut at different lengths. Take your time and make sure you always measure twice and cut once. That is the basics of installing LVP’s. It really is very easy to do and 99 times out of 100 you will get very detailed instructions on what you need to do. Just make sure that you do not rush and that you think it through a bit before you start to cut and in the end your home improvement project will turn out beautifully. How Much Does Vinyl Plank Flooring Cost? It is not easy to give a definitive price in regards to the cost but in general you can expect them to cost roughly $6 per square foot including installation. Prices can increase from there if you choose a luxury vinyl tile or if you need a lot of prep work done to get the floor ready for installation. If you want to buy vinyl planks or tiles and install them yourself expect to pay about $3 to $4 per square foot for a decent tile. If you keep an eye out for sales and are flexible about exactly what the tile will look like you can get some great deals on name grand vinyl for less than $3/s.f. One thing that is guaranteed is you get what you pay for when it comes to any building material. So if you go to your local discount store and pick up some no name vinyl floor covering that cost $2/s.f. don’t be surprised if you end up regretting your purchase in just a few short years. It is better to spend a little more upfront for a name brand, a brand that you can actually read reviews on and also know that will last. Shop around and get the best quality for your money, it is better to look at the quality than the cost as cheaper ones can end up costing you more in the long run. So far we have looked at some of the best brands in the world for vinyl products so now let’s look at some of the stores (both online and brick and mortar) that have a good selection and low prices. Is there anything that Home Depot does not sell? Home Depot has floating vinyl floors at all points of the pricing spectrum. No matter if you are looking to spend a couple of dollars per square foot or a couple of hundred they will have a style that will be perfect for you. Lowe’s has a great selection of vinyl planks in terms of their style and prices. So once again you will find what you need here. As stocked as Lowe’s are, their online site is not quite as easy to navigate as Home Depot. I do recommend going to see them in the store before buying anyway. The pictures online can be a bit misleading as to what they look like in person. However, you can get some amazing bargains by keeping an eye on online sales. It is always worth checking out what Lumber Liquidators have in stock. While you may have to do a little more digging around here, you can save some big dollars here. Also while they offer floating vinyl planks at reasonable prices, they still have some of the big brands here too. If you don’t want to install tile vinyl yourself then National Floors Direct is a great place to get your first quote. They have very aggressive pricing and guarantee that they can beat any competitors price by 15% or more. 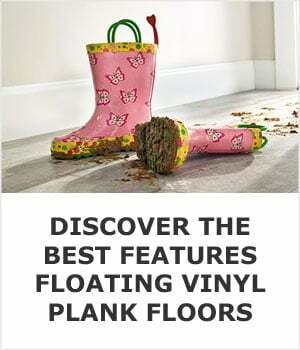 One last bit of advice that you need when shopping for floating vinyl planks at these retailers is to take your time. Have a real good look at their selection and make sure you check the clearance section too as you may be able to get high quality LVP for a low price because the style has been discontinued. So do not rush your decision! Take your time and get the best quality for the best price. Sammy Dolan is a small business owner who loves nothing more than spending time with his family and teaching them the ways of the world. He is a keen writer who loves writing about any topic related to home life. He currently runs the blog at Clean Home Guide. You can keep up with him here on the official Facebook page for Clean Home Guide.